Construction Innovation’s Third International Conference, Clients Driving Innovation: Benefiting from Innovation, proved a huge hit with over 200 delegates and conference presentations are now available for download. 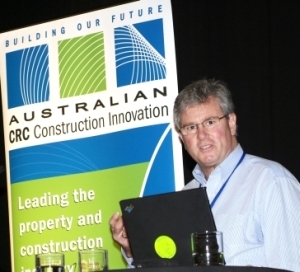 Held on the Gold Coast on 12-14 March 2008, the conference theme focused on demonstrating the benefits of applied research and innovation in the construction industry. The majority of delegates were from industry, followed by approximately equal numbers from government and research organisations.